Building on the strengths and rhythms of your community, let’s partner to introduce one practice-based experience into your Sunday service. How can we invite them to stretch beyond singing in a way that both deepens worship and makes them hungry for more? I’d love to play any role in your service—worship leader, speaker, liturgist, etc—that would facilitate the next step God is inviting your church to take. Is it possible to be in church work and not lose our soul? I’d love to create some holy space for your team to slow down, reconnect with God and themselves, and learn practices that can sustain a life of ministry. This can be a 1 hour staff meeting, a 3 hour mini-retreat, or a whole day retreat. The best thing we can give our church is a soul that's alive and aligned with Christ. What kind of experience does your ministry team need? Would you like to stretch your church or community and invite them into a new kind of worship experience? 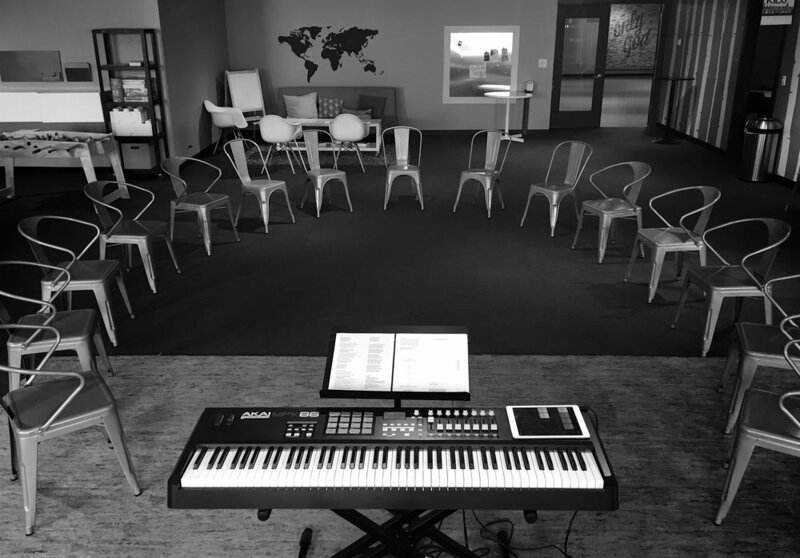 I'd love to offer a practice-based, liturgical-modern, experimental gathering based on the lessons we learned as The Practice Community over the last four years. This often works best as an evening worship service, but can happen on Sunday mornings also. Maybe you are in the dreaming and exploring phase, and you're looking to begin with a set of conversations rather than experiences. Wonderful. I made about a billion mistakes while trying to bring a more practice-based approach into modern worship. I'd love to help you avoid those mistakes!